Visited this bar a couple of times last summer. I fail to see what the big deal is... how can you chill with the noise coming from the street and the hotel directly opposite? All seems a bit "emperor's clothes" to me with follow the leader customers duping themselves and each other into a false impression. The owner Kevin always joining in or interupting customer's conversations. Oh well. Each to their own I suppose. gorgeous cocktails and nothing is too much trouble if you want anything different. Thanks Kevin for keeping the mint growing for the mojitos and my brandy baileys and chocolate milk was divine. We visited you during the last week of May 2012 from Caerphilly, Wales. We are glad we came to see you and the bar was everything we were expecting. Very nicely decorated, pleasant and extremely chillout. It is true Kev does great cocktails and will make any cocktail you want if he has the ingredients. We were there early evening and was told that most people got there later on after they had eaten. We had a good chat with Kev who I have to say is definitely the nice and genuine person everybody has been saying he is. Glad to have met Kev and visited but passed the bar only one more time pn the 'old road' (little bit of a walk from the other side of Kalamaki especially with blisters on your feet!) but didn't fancy popping in that time. Nice to chillout and meet others but maybe just a little too quiet for us. Still very good though and well worth a visit and keep up the good work Kev. We wish you all the continued success you deserve for all your efforts. Great to meet you. Will hopefully be out in 2 weeks for one of your cooool Mythos. I'm the advance party ahead of Penny and Brian and Sheila. I'll bring some Black pudding with me too.
. Cracking chill-out bar, great host in kev, really frendly and has time for everyone plus when he has a chat with you, he listens with GENUINE interest(not like some who just go through the motions), Kev plays some great music,all types. was there last september and will be back again this year, can't wait! Was good to be back in October 4th, Was also good to see your Bar Still Busy, When So Many Others Had Shut for the Season Early; Just Goes to Show If You Stay Open People Will Come In. Thanks For The Cocktail You Madfe Denise For Our Anniversary, She Also Especially Liked The Choc Mint One. What a great bar you have created, Friendly Host, Terrific People, jut the right place to be. Good Luck for the Seaon, Although You wont need it. 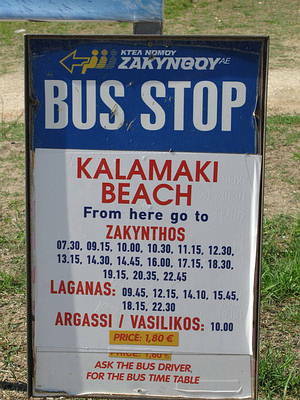 It was great returning to Kalamaki again, just got back and had a great time. We love to visit the Oceanic Bar, Kev always makes you feel very welcome, the place has a lovely atmosphere with great music, fantastic cocktails ,perfect for chilling and chatting to others with no telly and no football! Thanks for the great cocktails, we will be back to drink some more Bannoffe Pie and Lemon Cheesecake cocktails they were amazing. we had a great time meeting kevin and trying the cocktails, thanks for everything and we will be back again.we would highly reccomend the long island tea..
not a bad little bar, kev who owns it seems to no everything about zante so just ask him about whatever. i did.nice place to chill out. mick from leicester aug 2010. Friends, alcoholics, countryman, lend me your ears! 3 weeks today and i'll be back on the island getting the Oceanic ready for another busy season, can't wait! Don't forget my black pudding and crumpets haha! Hello and a Happy New Year to all my friends on Just Zante and All my friends who visited my bar last season, by friends i mean customers. 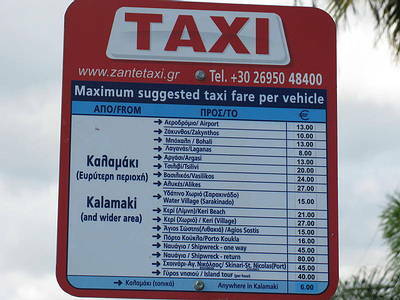 Also if anyone thinks they can help with advice for new tourists to the island then please join me, Kaz and Lyndylou on Tripadvisor nust look for the Zakynthos forum. See you all soon on Zakynthos and in Oceanic. Cheers to one and all or should i say yamass! We only managed two visits to the Oceanic however, they were both really enjoyable. There were several days between visits but Kevin to my amazement remembered what we had to drink. This is a great place for Chillin out, with a really friendly host and plenty of other Customers willing to have a chat. My wife Anita loved the Lemon Cheesecake cocktails and says she has never tasted anything like them. We plan to visit again next year and we will be paying a lot more than two trips to the best bar in Kalamaki. There are few better places to get stuck during a storm - we'll try and remember the black pudding for next year. Hope your birthday bash goes well next week. Best wishes for next season - already counting down the days til we're back. Me & hubby had fab evenings here in May thanks Kev. I tried the Black Forrest Gateaux & Cherry Bakewell - mmmmm very nice. The Oceanic Bar has to be 'the place' to hang out in Kalamaki. A mix of convivial company, good conversation and first class service have to be the main reasons for anyone venturing for an excellent night out. Kevin is the perfect and most attentive host and his partner Helen, the hostess with the mostess whose stunning personality and humour make any evening at Oceanic a memorable one. Richard and I were made to feel so welcome by the wonderful friends and customers we met during our enjoyable stay. Helen's birthday bash was a night to remember and the evidence can be viewed on Oceanic Bar Kalamaki Facebook - well worth taking a look! Thank you to Kevin for his energy, enthusiasm and dedication in making his customers feel welcome and above all, special. My demands for our song - Bad Company's 'Feel Like Making Love' must have been a pain night after night at 2am in the morning but never once did he refuse. We look forward to returning to Oceanic Bar - I urge anyone wanting the best chilled out evening to make an effort to visit Kevin - you will not be disappointed!! I would like to thank all the customers and friends at the Oceanic for a fantastic birthday. I had a brilliant night and it will be a birthday I will never forget. I would like to thank my Kev for organising everything and making it so special.